In addition to his work as a litigator, Eric can also serve as a mediator or arbitrator in divorce cases for those who wish to pursue alternative dispute resolution. Eric was featured in a Forensic Perspective Podcast, a production of MSG Accountants, Consultants & Business Valuators. Eric discussed the decision issued by Acting New York State Supreme Court Justice Saralee Evans in the case of Simkin v. Blank, in which Mr. Simkin sought to reform his divorce agreement with his former wife because he was one of the many victims of the Bernard Madoff ponzi scheme. Ultimately, Justice Evans dismissed the complaint in its entirety. Eric discussed how the Madoff case may impact other matrimonial outcomes. Click here for more. 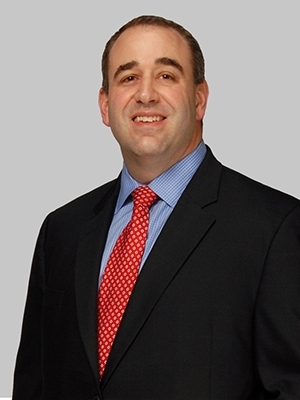 Eric was previously a partner at Donahue, Hagan, Klein, Newsome & O'Donnell, P.C. handling matrimonial law matters. Eric was appointed by the Supreme Court of New Jersey to the District XB Ethics Committee and served as the chair from September 2010 through August 2011.